Sometimes I get so caught up in work that I forget to eat. That’s why I cherish my Vitamix more than anything in my kitchen. 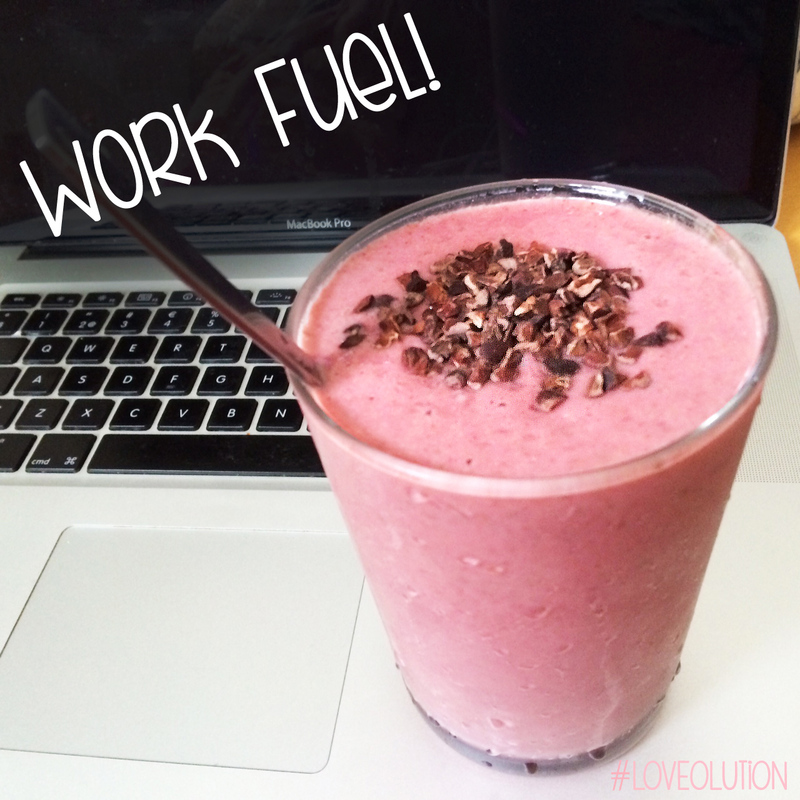 It literary takes me less than 5 min to whip up a nutritious and delicious smoothie. 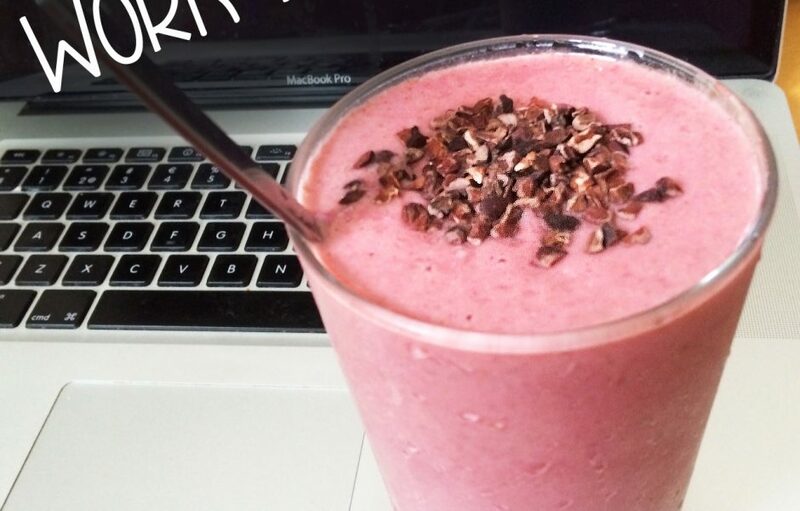 This creamy summer drink is one of my favorite smoothies. It tastes like heaven and gives me the fuel I need to continue working. Mix everything together in a highs speed blender, pour into a tall galss and add your favorite topping. Many warm summer hug to all of you.